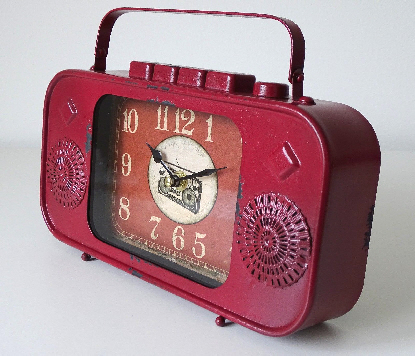 Vintage distressed retro style clock in style of radio. Red metal mantel desk/table clock. For more info’ please follow this link £24.99 Thank you.